Alison and Trent’s wedding day didn’t exactly go according to plan. 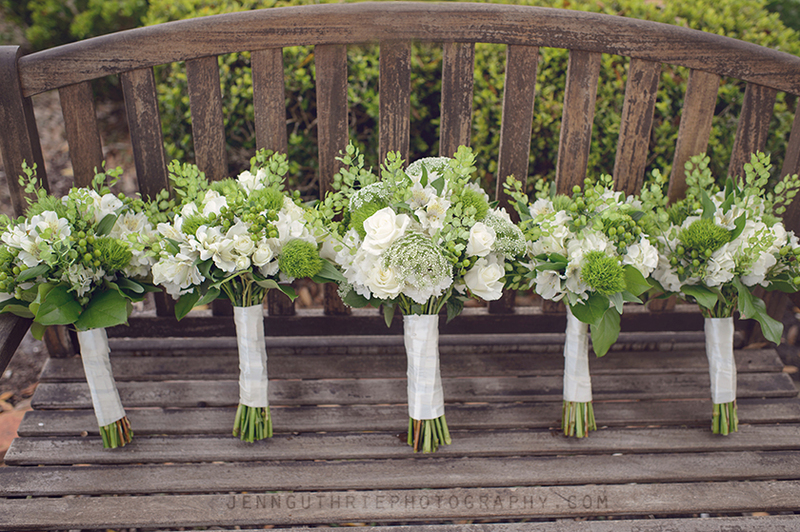 Alison planned a February wedding because she wanted a nice chilly day, but it was the exact opposite! We’re talking 80+ degrees at the end of February (good ol’ Florida!). However, despite the warm temperatures, humid weather, and massive swarms of gnats that attacked us during their formals, we still managed to get some beautiful pictures that were totally worth the sweating & itching. :) Thankfully, the 60% chance of rain that had been forecasted all week held off- until literally the exact moment Brent and I left the reception. I mean literally, when we were walking to our car the rain began to downpour and we had to make a run for it with our cameras tucked under our clothes! Even if “plans” hadn’t exactly run perfectly, at the end of the day Alison and Trent had become husband and wife… and it was a beautiful ceremony that united them. We were SO beyond honored to capture your wedding day, Alison and Trent- and we hope you absolutely love your pictures as much as we enjoyed taking them! Oh, and we also had a BLAST at this reception…it was quite the party. Brent did the wobble… (and the cupid shuffle..and the wop..), I ate some cake, and we all learned how to dougie! ;) ENJOY! I like them all, but the three of the cake cutting with the lights in the background are my favorites. They make it look like there were fireworks going off as if in a Disneyworld celebration of the stars. The photos are absolutely beautiful! Alison is a stunning bride! Photographs are beautiful and amazing.. bride looks stunning!! Makeup + Photographs = Perfect wedding … Beautiful moments to cherish with!! Breathtaking to say the least!! When Elizabeth booked me as her photographer, I knew we were going to be a perfect fit! She was so excited about her upcoming wedding and the photos were so important to her, so I was extremely honored that she chose to work with me! :) The wedding was super sweet, and we had a blast with her and Justin’s formals after the reception had ended. Congratulations you two, it was such a pleasure to capture these memories for you! a view on second shooting, from the perspective of a second shooter. 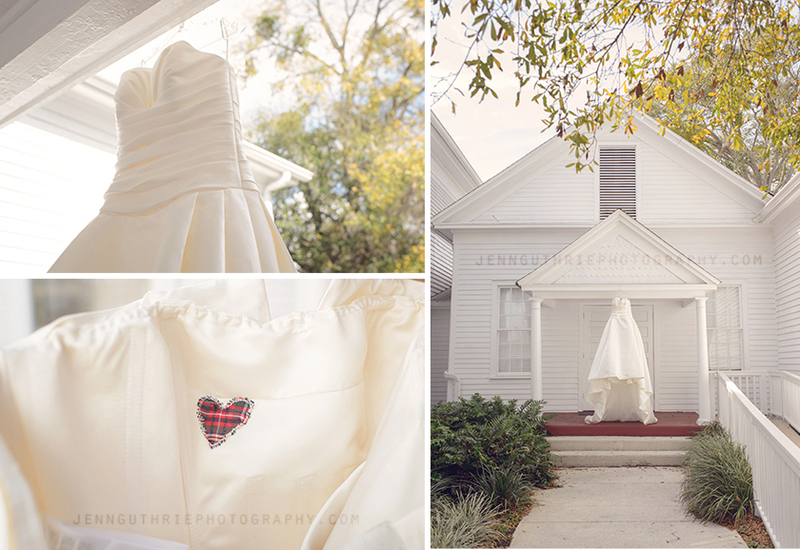 I was asked to photograph my very first wedding in December of 2010. Since then, I have photographed 31 weddings. When I think back on my journey since my very first wedding, I can’t help but feel that there are SO many things I wish I would have known back then, that I have realized now as an experienced and confident wedding photographer. That is the reason for this blog post. I am determined to reach out to aspiring wedding photographers & to share some of my personal experiences in hopes that they will benefit you in someway. I will also say that I am NOT claiming to be the “know it all” of wedding photography, or to seem as a superior to anyone at all. But with the weddings I have shot over the past year and a half I have gained enough experience and confidence to feel that what I have learned may be insightful to others aspiring. I do not intend to offend anyone, please understand that.. I am only writing this to be honest about my own experiences. When I took on my very first wedding in December of 2010, I was the main shooter. I had ZERO wedding experience, and no clue what I was doing. (I believe I charged the bride $500, and thought that was a pretty awesome deal! ;)) HOWEVER- the most important thing I did, was to make sure I informed my bride that I had never shot a wedding before, that I did not have “professional” gear, and that I really didn’t know what I was doing. All I knew, was that I could snap some pictures for her. This bride was completely 100% okay with that- so I agreed to photograph her wedding. 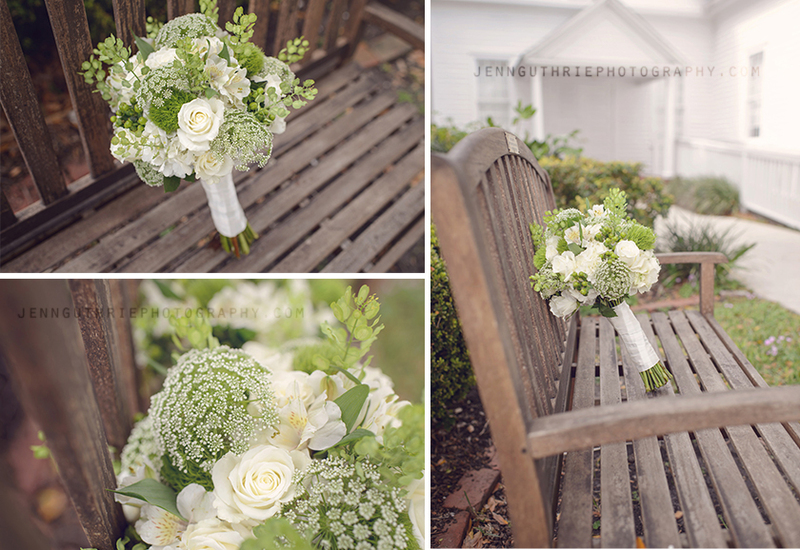 I shot the wedding with a Canon 50d, and I rented the 24-70L, since the only other lens I had was my kit lens. Looking back now, I cringe at the pictures I took for her. But that’s just the thing… I have experience now, and I know what I would expect as a bride from MY photographer. As wedding photographers WE ARE RESPONSIBLE FOR ALL THE WEDDING MEMORIES. The bride and groom may not look back at their album too often- but do you know who will? Their children, Their children’s children… it is YOUR JOB to be HONEST with your brides. You need to gain that experience so you are able to show them a portfolio. Talk to them about the experiences you have had (main and second shooting), let them know what you are (and are not!) capable of. When a bride hires you, she is putting TRUST in you to capture some of the most precious and priceless memories of her entire life- you need to be PREPARED to take on that responsibility, and to not take it lightly. That is why I believe that *EVERYONE* who intends to photograph weddings should gain experience as a second shooter first. 1. CONFIDENCE. I have gained the confidence to know what goes into shooting a wedding. I know my responsibilities, and what is expected of me as a photographer on wedding day. And BONUS! !– as a second shooter, I am given the freedom to be creative and to master my technique as a photographer, without all of the stress that goes into being a main shooter. Main shooters often have to worry about getting so many important shots during the day, that they may not have the opportunity to get those creative angle shots, or to capture those beautiful details that the bride and groom put so much thought into. ALL of those things need to be captured. Being given the opportunity to master my skill and learn who I am as a photographer has been the best lesson I could have hoped for. 3. How to deal with stress & crises! I have learned that not everything is going to go perfectly on a wedding day. But it is the photographer’s job to adjust accordingly & to make changes to accommodate the bride! Watching another photographer deal with issues the day of the wedding is reassuring that it will happen, but and it’s all about how you react & deal with it- that is what makes the difference. 5. Finally- Practice makes perfect. I believe that you can read all the manuals you want. Posing, technique, lighting… it’s all good and dandy. But NOTHING beats hands on experience and PRACTICE. Would a doctor perform a major surgery without learning & practicing first? No way! It’s the same basic concept for us photographers… it’s crazy to take on a wedding without learning and gaining experience first. The more you shoot, the better you will become. Period. Having said all of this, I hope I have opened a door & inspired anyone who might be thinking of taking on weddings to consider second shooting. I hope everyone who reads this takes it for what it is- my personal thoughts and opinions. I am by no means saying that you cannot be successful unless you second shoot. I am only sharing how this experience has benefited me, and what it has done for my confidence and craft in hopes that it might do the same for you. Here are some of my favorite images I have taken while second shooting with Julie Paisley Photography. *my favorite shot to get as a second shooter- the groom’s face when he sees his bride. *i got the back view looking toward the crowd during this wedding. creative angle for their first kiss! *i have TIME to play with details, and be creative. *shot on behalf of julie paisley. *snapping a creative angle while julie was focused on the main image. Gorgeous images and sage advice! Thanks for sharing. Thank you Jen for posting this, I’ve kind of fallen into wedding photography on accident. I had the opportunity to assistant and got to shoot about 90% of the time and all the pressure was off and I actually enjoyed myself!!! Your shots are beautiful and I hope one day I’ll gain enough experience and hopefully talent to shoot amazing shots like you too! Beautiful expressions! Keep up the great work!